Located in the heart of San Antonio and with three campuses, we are a growing multi-generational congregation involved in diverse ministries. We are passionately committed to help seekers become believers and believers grow as disciples. On a weekly basis TBC ministries connect thousands of people to God’s love. Be the people of God who do the work of God by helping seekers to become believers and believers to become disciples. 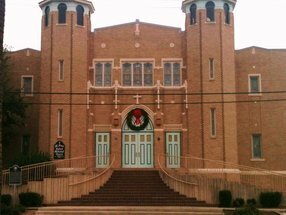 Learn about the history of Trinity Baptist Church. Learn more about Trinity’s 1 Church 3 Campuses. Leslie Hollon is a pastor, preacher, professor, and author. Dr. Wayne Oates called him “a reconciliation artist.” Dr. Bill Leonard describes Les as “a sensitive pastor, caring minister and excellent preacher.” Dr. Calvin Miller said of Les, “If one were to consult the Oxford Dictionary of English for the definition of ‘pastor,’ they would see a picture of Les Hollon.” Leslie serves as Senior Pastor of Trinity Baptist Church in San Antonio, Texas. 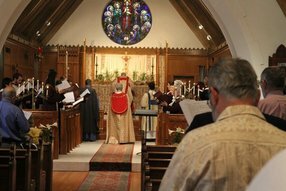 This growing regional congregation is noted for the impact of its local and global ministries. Leslie is often interviewed by local media and is a frequent speaker for community, regional, and international events.